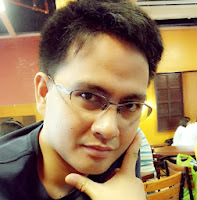 Signing up is always the first step in availing a certain program. If you are going to be a part of the growing number of addynamo users, you have to sign up first and the thing is there are others who find it hard to do this despite the fact that this is so easy. Yes, you got it right. This is so easy to do. 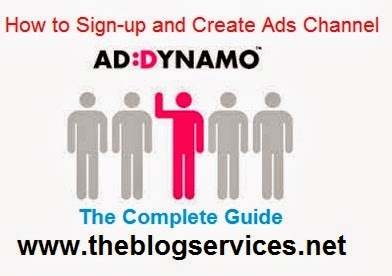 This article will show you how to sign up with addynamo the best way and will also teach you how to generate banner ads code after the process. You just have to pay attention and follow the step-by-step process shown here. You will surely learn a lot and application will follow afterwards. Your knowledge with addynamo will help you generate income if you are eager to learn. Make this article an inspiration towards reaching that goal and become an expert in using this program. Step 1. Go to addynamo site and click "signup" then "I want to be a Publisher"
Step 2. Fill up the form correctly similar with the image shown below. Step 3. 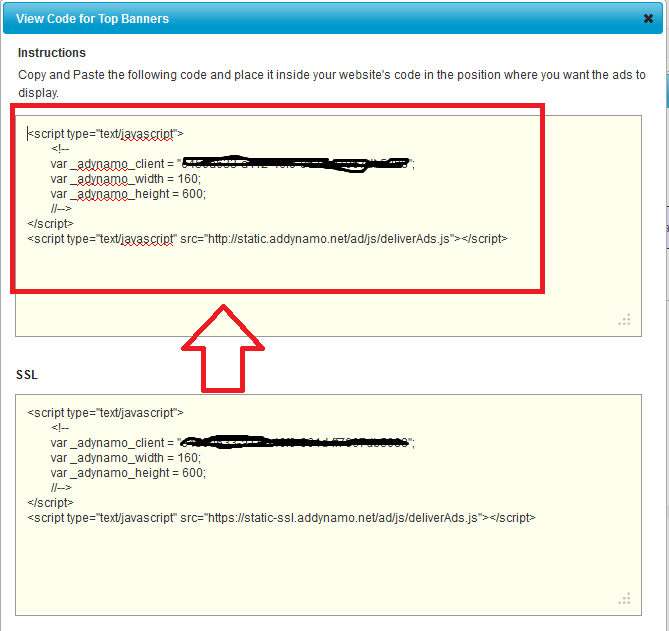 You will be redirected with the confirmation page that indicates similar with the image shown below. Step 4. Login with your email used to register and Confirm your registration. Step 1. 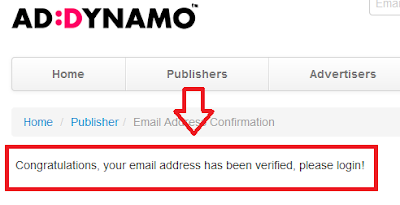 Login with your addynamo account. Step 3. 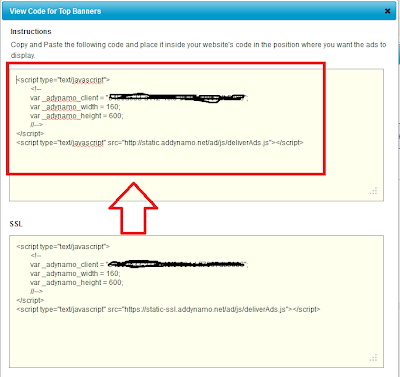 You need to add you website first on your addynamo account before you can create banner ads code (channel) for your site. Go to "Channels">> "Manage Sites" then "+New Site" where you will allow to add your site details. Step 4. 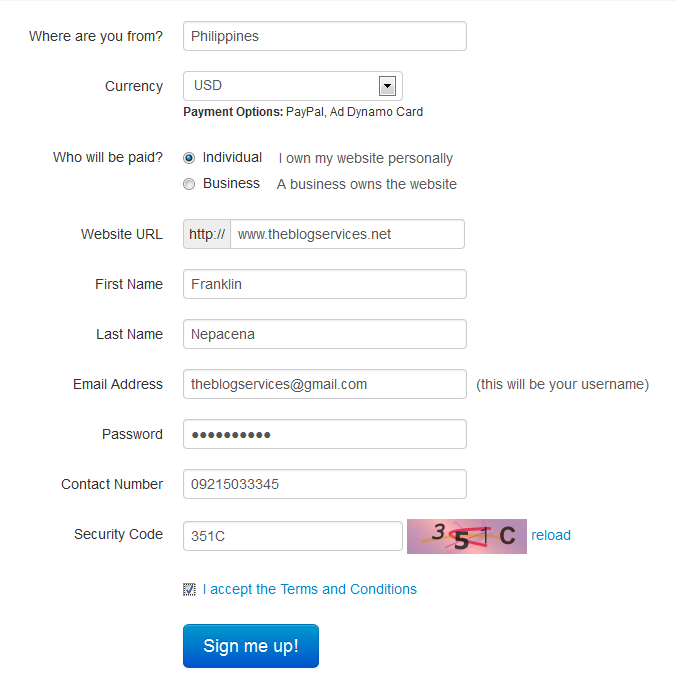 Fill up the form correctly with your website details similar as the image shown below. Step 6. 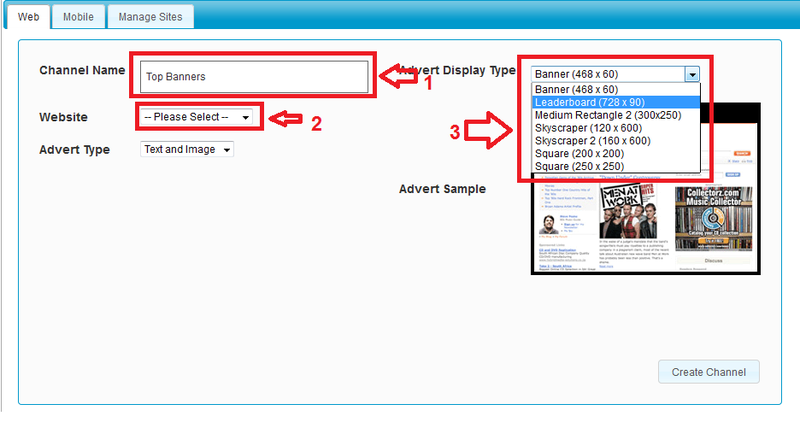 Still on Channels>>Web you can get your ads code on left part where you ca see icons similar with the image shown below. Step 7. Once you click on the Icon similar with image above a pop-up box will open showing your ads code to be place on your site. 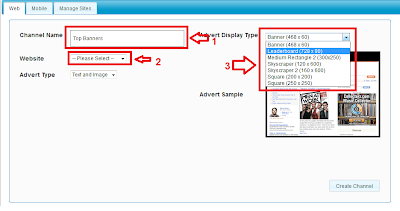 Your done, you can add up to 4 banner ads code in your site, It will take up to 100k view on your banner ads code before your ads placement can get a rate from addynamo based on my experience. Then once your site traffic are quality they may send you an invitation to join their Google Adx program where you can earn good rate with them in CPM based. Basically addynamo are CPC adnetwork if you are not yet member of their adx publishers. This ad network only show their own ads? If you only see their default ads banner meaning your account is not yet optimized, usually it will take weeks before some earnings will show on your dashboard. Ok i got it, Thanks. Do you have any info about Komli Media? You can add pass-back or alt ads for komli if you want to maximized your ads space, currently I have 4 ads with them and I did put alternative ads so that when there is no ads to show on certain time/ip my alt ads will show not their default ads. I will discuss it more once I already published a review about komli soon. Ok will discuss it soon.